Thanks for checking out our cues. If you have any questions, feel free to contact us. First batch for 2009 in progress! We are currently hard at work on the first batch for 2009. Will be posting more pictures in the very near future. Some of the new cues we're working on are our new Butterfly Cues. These will occupy the spot in our lineup once held by "Sneaky Petes". Some current photos can be seen in the "work in progress" page. Thanks to everyone for their support last year. 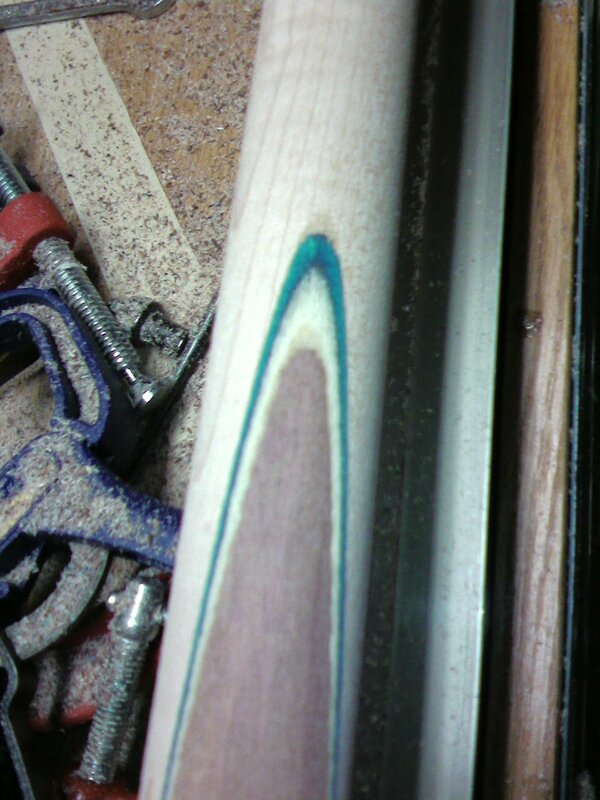 Looking for a Custom Cue made for you? We're always happy to make a cue just for you. Whether it's your first cue, or your next playing cue we'll be happy to work with you in building your cues. For an estimate on cost and wait list, please email us. Please check out our friends at Inside Pool. They are the source for billiard news, free downloads, image galleries, forums, and contests. We suggest that you try the caption contest held every month.